How to Fix ERR_TOO_MANY_REDIRECTS Error in Chrome & WordPress? Home Android Fixes How to Fix “ERR TOO MANY REDIRECTS” Error in Chrome & WordPress? How to Quickly and Permanently Fix Google Chrome or WordPress Error with Error CODE “ERR_TOO_MANY_REDIRECTS”? 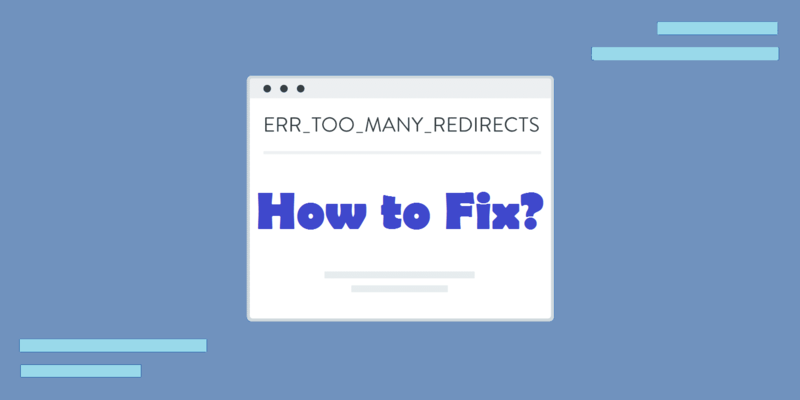 – Are you facing ERR_TOO_MANY_REDIRECTS error frequently in your Browser? Well, here are the Latest Working Solutions for the Google Chrome Popular Error – “ERR_TOO_MANY_REDIRECTS”. The ERR TOO MANY REDIRECTS error usually comes up when the site you are trying to visit has a loop of redirects or if there is a Browser Caches issues with your System. We can fix for both of the causes, let’s see. 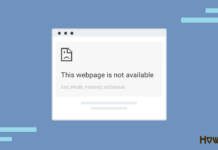 If you are a Website Developer or the Owner and if your Website starts redirecting from one page to another then most of the times, this happens because of misconfiguration on your WordPress/Website Settings. We have working solutions to fix this error permanently. Let’s Get Started!! Google Support Page has suggested the problem with Caches and Cookies in your Browser. So you should start with Clearing your Browser Cookies and Caches. When your Browser is facing some trouble or issues with Caches and Cookies. When your destination site has a misconfiguration. When you destination site is facing issues with some faulty plugins. 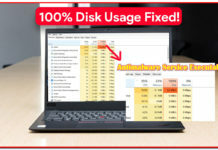 Also usually occurs due to some third-party programs/softwares on your System or Device. When your destination site has broken/malicious code. So, in order to fix ERR_TOO_MANY_REDIRECTS error in your Windows, MAC Computer or Android Phone, check out and try to follow the solutions below. 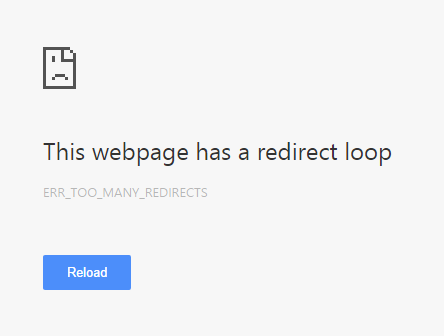 Are you getting ERR_TOO_MANY_REDIRECTS Error on a website? If yes then your destination website is facing issues that causing this error. In such cases, you should try to contact the owner or administrator of that website to check for the issues. Additionally, you can try to fix this error by following this fix. Sometimes Corrupted Data such as messed up Cookies and Caches in your Browser can cause this Error with Error Code “ERR_TOO_MANY_REDIRECTS”. In case, if the error is because of any corrupted data, then simply clear your Browsing Data, Cache & Cookies in Order to Fix this Error. 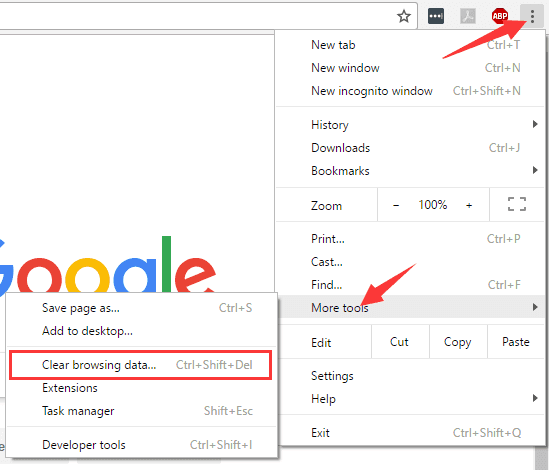 To Clear Browsing Data, Cache & Cookies in Google Chrome Browser, Follow the Steps Below. 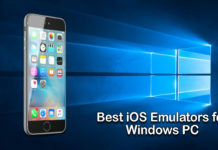 Note: You can try this fix in any of the device, whether it is Android, MAC or Windows 10, Windows 8, 7, etc. 1. Open Google Chrome and Press Ctrl + Shift + Del Key on your Keyboard or click Options >> More tools >> Clear browsing data. 3. A “Clear Browsing Data” Box will appear. 4. 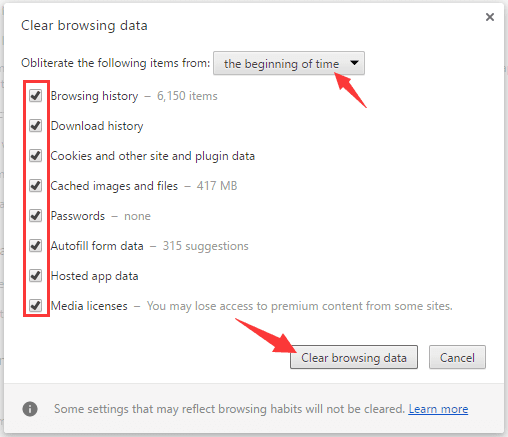 Check all Boxes, select “the beginning of time” & then Click on Clear Browsing Data. 5. Done!! You’ve Cleared all your Browsing History, Cache & Cookies. Now try browsing the Webpage and see if the error vanished or not. If not then the last thing you can try is Re-installing your Internet Browser. Make sure your Browser is Up to Date. If you know, this Fix has Helped Solve many other such errors such as ERR_CONNECTION_REFUSED andERR_CONNECTION_RESET. Note: Fixes from here are mainly for the Website Developers and Owners. If you are running any website and if it shows this ERR_TOO_MANY_REDIRECTS Error then you can follow the upcoming fixes. The ERR_TOO_MANY_REDIRECTS Error may appear due to misconfiguration of your site URL settings. If you are using WordPress as your Content Management System (CMS) then you can check and change the URL Settings easily. So, Check your WordPress site settings. There are two important URLs you’ll want to ensure are set correctly. The ERR_TOO_MANY_REDIRECTS Error may even appear due to faulty or broken plugins on your WordPress. In order to fix this error try disabling the plugins on your website. By disabling the plugins you can gain access to your website and fix the faulty plugin. To Disable your WordPress site plugins just log in to your File Manager on the web server or hosting or use FTP. Step – 1: Login to your File Manager or Hosting, open file manager or server files and locate your wp-content folder. Step – 2: Search for the Plugins folder and rename the Plugins Folder (Example: Plugins Old). Step – 3: That’s it. All your Active plugins will be Deactivated and you can gain access to your site. Step – 4: Check if the ERR_TOO_MANY_REDIRECTS Error is fixes or not. If not then you can check for any internal issue and easily fix. Step – 5: Once the error is fixed, revert the changes i.e., rename the Plugins folder back to the original name Plugins. Step – 6: Now check which plugin caused the issue by disabling and enabling each plugin one by one. Step – 7: This way, find the culprit i.e., the plugin causing this error. Disable and remove that plugin. That’s it. You get your site running, free from the annoying error “ERR TOO_ MANY REDIRECTS“. The ERR_TOO_MANY_REDIRECTS Error may appear due to misconfiguration of your site URL settings. So what if you don’t have access to WordPress Dashboard or Settings Page? What if the you aren’t able to login to your Dashboard? Don’t worry. We have got you covered. You can manually change the Site URL Setting. There are two important URLs you’ll want to ensure are set correctly. Here’s How to Change URL Settings manually without accessing your WordPress Dashboard. Step – 1: Log in to your File manager on the server or using FTP. Step – 2: Now, Locate and Open “wp-config.php” file. The file will include these given lines of code. Line 1 refers to WordPress Address (URL), the address to reach your blog and Line 2 refers to the Site Address (URL), the address of your WordPress core files. Step – 3: Make the appropriate changes to the URL and Save the File. So this way, you can remotely or manually change the WordPress Website URL Settings. Hope this helps you fix the Chrome Error “ERR_TOO_MANY_REDIRECTS“. Sometimes, the misconfiguration in the .htaccess file can become a hurdle for your website. You website may not be loading due to issues with WordPress .htaccess file. Even if you know the issue and the fix, but just because of inaccessibility of your Website Settings, you aren’t able to fix. So in such cases, we can try Remotely Disable the .htaccess file which can help fix this error. To disable the .htaccess file, follow the steps given below. Step – 1: Login to your Hosting account. Step – 2: Go to the File Manager via Hosting account or via FTP. Step – 3: Now, open and locate your “.htaccess” file. Step – 5: Now open your website and fix the redirect issue. Step – 6: Then, after fixing the issue, rename the .htaccess old to .htaccess. Step – 7: In case if this does not work, edit .htaccess file and add the code given below. Step – 8: Save and Close the file and refresh the website to see if the error is vanished or not. If you’ve upgraded your Website security with an SSL certificate then, you’ll have to redirect your HTTP URL to HTTPS URL. This error happens when your HTTPS configuration is messed up. In order to fix this error in WordPress, you can use a plugin or do it your by your self manually. Step – 1: Login to your Hosting account or access through FTP. Step – 2: Now go to File Manager, search for the “.htaccess” file and Open it. Step – 3: Then, add the code given below in the .htaccess file. Step – 4: That’s it. Save and Close the File. Now force refresh the webpage and check if ERR TOO MANY REDIRECTS error disappeared or not. CHECKOUT – How to Quickly Fix 500 Internal Server Error or HTTP Error 500? Sometimes Clearing Proxy cache and Server Cache can help fix this error. In case if you’re using reverse-proxy service such as Cloudflare then clear the cache on Cloudflare by following the steps below. Step – 1: To purge Cloudflare cache, login to your Cloudflare account. Step – 2: Select the website in case if you have multiple websites on Cloudflare. Step – 3: Then, click on “Caching” option from the Cloudflare menu. Step – 4: Now under Caching option click on Purge Everything. That’s it. Proxy and Server Cache is cleared remotely without accessing even your web server. Now probably, the error would have vanished. Check it.